Taylor and I are just a few sessions deep into "Ascend the Nuclear Throne", but our floundering attempts to claim the throne for ourselves are probably nearing the hundreds. That's the way these thing works, though, right? My experiences with roguelikes have done nothing if not reinforce the idea that you're a total dweeb until, for one shining moment, you're both all that and a bag of chips. We aim to one day be that bag of chips (at least). A major part of our success this time around is due to the fact that we finally figured out how to successfully coordinate the ol' "pop pop, boom boom" combo. As I mentioned in my review, local co-op in Nuclear Throne takes quite a while to get used to, but when you finally do, your irradiated duo feels like it can just about take on the world. Which, I mean, I suppose you kind of have to. Don't worry, those of you who enjoy watching me explode will still get some mileage out of this episode, though. Session 5 is a wee bit shorter, but I think you'll find the reasoning for it is pretty solid. Taylor and I made a serious dent in the nuclear wasteland this time around, so we decided to get out while the proverbial gettin' was good. Thanks for watching! 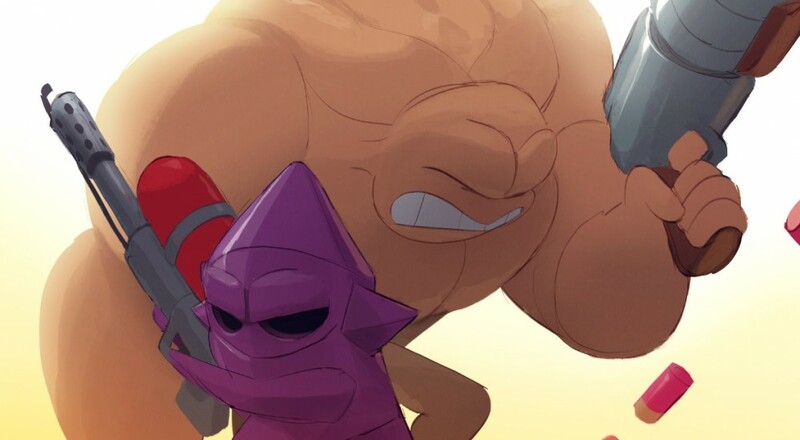 We stream "Ascend the Nuclear Throne" every Thursday at 8 PM EST, and we'd be elated to see you in the Twitch chat. Page created in 0.3339 seconds.